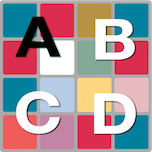 You will get lost in this fun, colorful, and addictive puzzle! Join the colors and get the White Tile! Join the colors and get to the WHITE tile! Swipe left, right, up, or down to move all tiles. When two tiles with the same color touch, they merge into one. Get to the WHITE tile, and reach a high score! Align the marks to defuse the bomb and save the world! Don't mess up or the bomb will go off! How many bombs can you defuse? How far will you go? Mr. Mustache needs your help to collect his coins. How many coins can you collect? Tap to jump and don’t hit the barriers! Difficult and Addictive!!! Once you start, you can't stop! Bounce your emoji along, but look out for spikes! Don't Tap That Red Button! Play a game on your Apple Watch! Tap your Apple Watch, but DON'T tap that red button! Test your reflexes in this addictive button tapping game made for the Apple Watch! You can play on your iPhone or iPad too! Take a crack at Color Crack Attack! Swipe left and right to avoid the colored squares. Collect coins to unlock characters! Play against friends and get a high score! How far can you go? Too hard for you. Hold or release the screen to shift to either a square or circle matching the oncoming shapes. Challenge the Impossible. How many times can you get through the gap? Tap to jump and don't don't don't don't hit the wall! Rush is a game that tests your brain's reflexes! Simply tap to rotate the cube and collect the incoming balls. WARNING: Highly Addicting! Tap doge to make him fly.... but watch out for the spikes! Unlock achievements and get the high score! GIFs on your Apple Watch!!! - Search endless GIFs on your Apple Watch! - Apple Watch Glances provide a quick view at new GIFs! - Receive Apple Watch notifications of new GIFS! iPhone App: A GIF speaks a thousand words! Now you can share them with your friends in a text message! Gif Me A Break is the best way to add a gif to text and email conversations. Join the letters and get to the Z tile! Swipe left, right, up, or down to move all tiles. When two tiles with the same letters touch, they merge into one. Get to the Z tile, and reach a high score! How many times can you get through the gap? Tap to jump your ball and don't don't don't don't hit the wall! 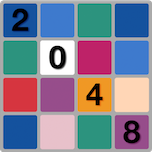 Join the numbers and get to the 2048 tile! Swipe left, right, up, or down to move all tiles. When two tiles with the same number touch, they merge into one. Get to the 2048 tile, and reach a high score! Come under the sea for a Speedy Fish adventure. Tap on your device to make your fish swim. Avoid obstacles, collect coins, and beat your friends high score. Good luck! Get Flappy and Save Squirrelly from Falling!!! Your mission, if you choose to accept it, is to save Squirrelly from smashing into the obstacles. Squirrelly will fall faster and faster! You must bring your "A" game to beat this game! Are you ready for a new challenge? The new Jumpy Jack-Rabbit is ready for you! Tap on your device to make Jack-Rabbit jump. Avoid obstacles and collect Easter Eggs. Win the medals and beat your friends high score. Take to the sky to make your Whirly Bird and friends fly! Tap on your device to make your Whirly Bird Fly. Avoid obstacles, collect coins, beat your friends high score, and unlock other characters! Good luck! Step into this thrilling, fast-paced showdown and meet the crackling whips and blaz'n pistols of the infamous Wacker Brothers Gang. Half of all the profits from Western Shootout will be donated to the National Brain Tumor Society. Blast off with this fun and exciting way to learn how to count to 10! Teachers designed Cosmic Counters based on the Common Core State Standards. This game will have students keep track of counting, see number relationships, learn addition to 10, and develop skills needed to learn place value. Joseph Peachey started That Peachey Thing in 2012 with the idea to give a percentage of the profits from any app made to a specific charity. Each app supports a cause. That Peachey Thing encourages people to play for something bigger than just high scores and entertainment. Play for a purpose today so others can play tomorrow! Have questions/problems? Email us at thatpeacheything@gmail.com. We will try to respond to all emails. Copyright © 2011, [ThatPeacheyThing, LLC]. All rights reserved.